I admire those who can post updates on their blog on a regular basis. I have every intention of posting weekly – on Monday or Tuesday. That should be doable, right? But sometimes, life gets away from me and before I know it, it’s Friday night and I’m ready to go to bed at 7:30. So here is the post I wanted to write last week, but it was a tough week. I can report that I’m back on track now. After the Houston Marathon, I started to second guess myself. 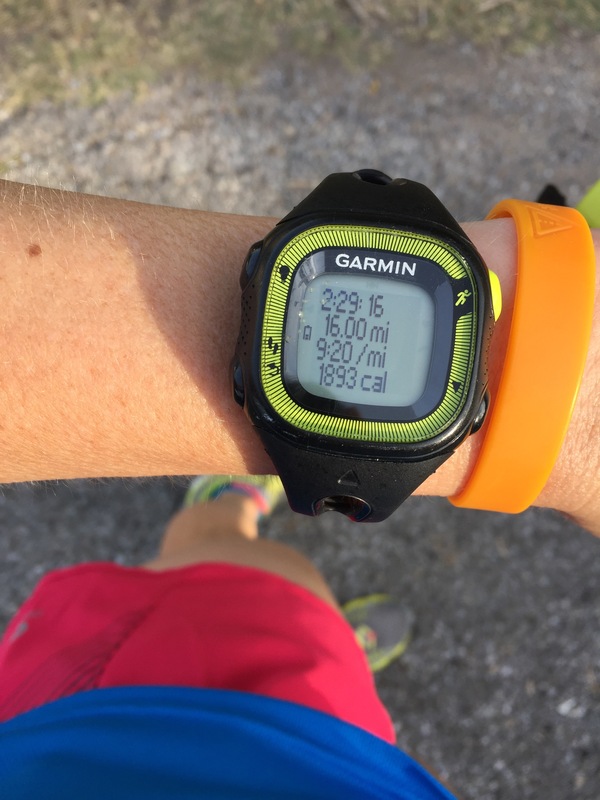 Why was I running slower? What was I doing different? Had I reached my full potential and started a steady decline in speed? I also noticed while I was running the marathon I felt different with my body composition – heavier. Sure, it was probably due to a few Christmas goodies here and there, but I didn’t like it. 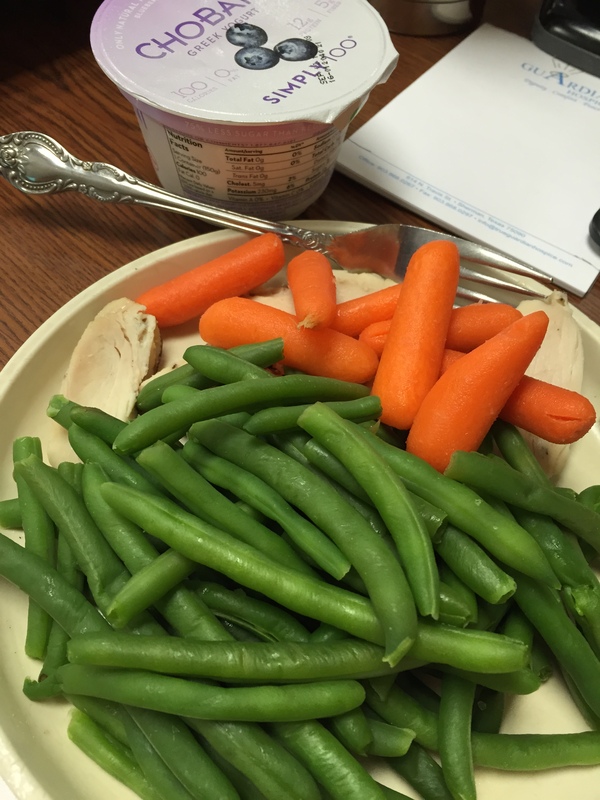 It motivated me in a good way, and the day after the race, I made some changes to my diet. These are changes that I want to be permanent, but I also know how I can get sloppy after a while. I need my changes to stick. In the past four weeks, I have been tracking all my food, eating more fruits, veggies, and whole grains, and I have felt much better. My energy level has been up even though I’m not getting ideal sleep. My easy run pace has dropped to what I consider normal for me and I have started to see some speed come back. I haven’t been able to get a mile near 8:00 range yet, but it’s getting closer. 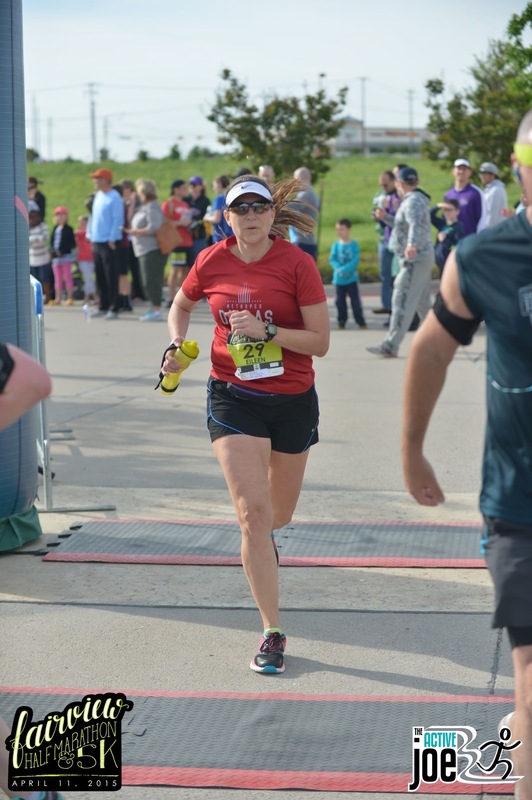 I don’t want to push the speed too hard since I’m still training for the Cowtown Marathon. I’ve lost a pound or two, depending on which week it is. I’m trying not to focus on the scale too much. As long as I stay within a specific range, I’m not going to worry about it. I have picked back up on regular core work (planks, bridges, pushups) and after Cowtown I will expand my strength training to replace some of the running miles. The last two Saturdays, my long runs have given my self confidence the boost it needed. 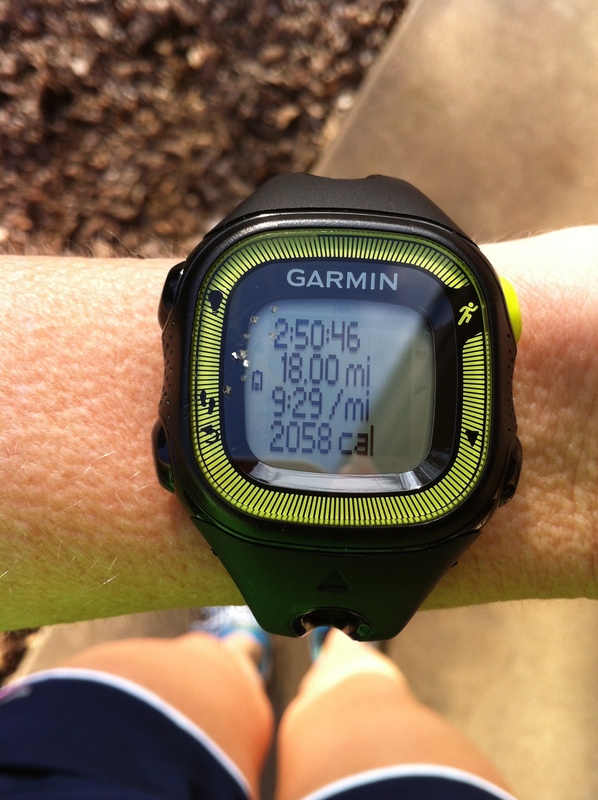 A week ago, I ran an 18 miler with 12 miles around a 9:15 pace. It was nice to know I could push and do what I set out to do. 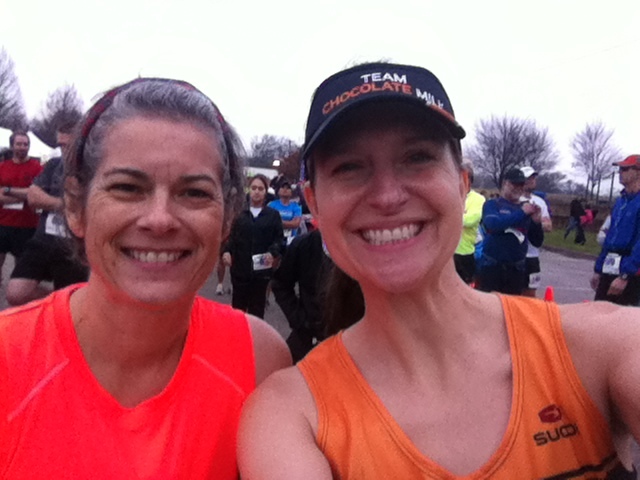 This past Saturday, I pushed again by running with a faster runner for 10.5 miles of my 16 total. Overall we averaged 9:09 pace for that segment, but I know there were some fast miles in there because the first 3-4 were 9:30s. 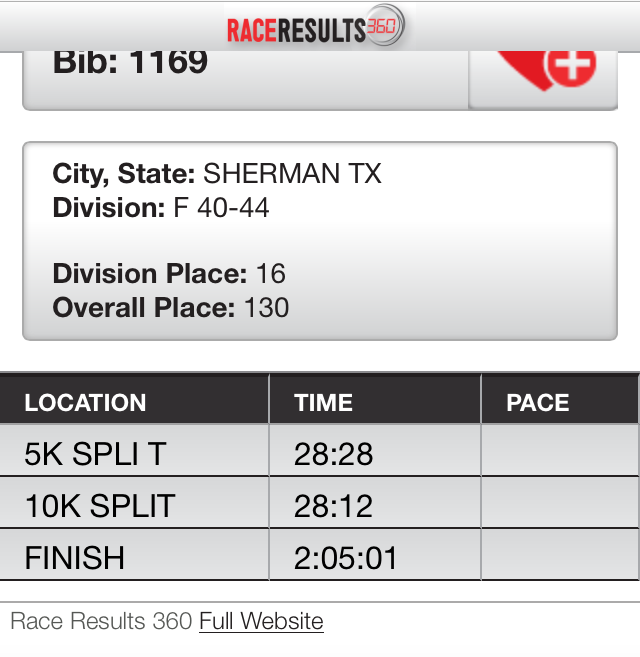 Negative splits are a great confidence builder. I was wiped out at the end, but it felt great! Now I’m ready to taper for Cowtown. I plan to take this Saturday run a little easier to rest the stress I’ve built in my legs the past few weeks. I will also focus on keeping my nutrition in check so that’s not slowing me down. Do you ever sign up for a race and then realize it probably wasn’t your smartest idea? 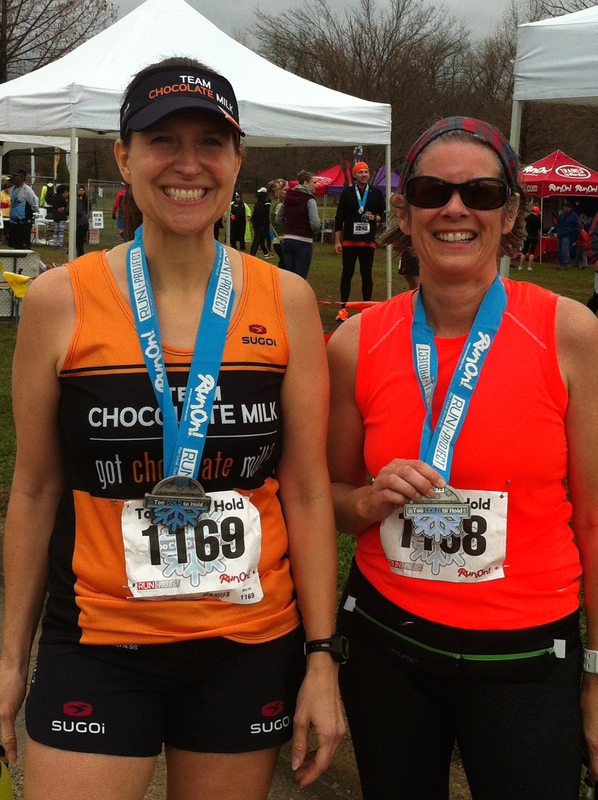 In all fairness, my primary motivators to register for the Too Cold to Hold half marathon were running with my friend around White Rock Lake, and the medal (which fits with a race in July). A PR, two weeks after the Houston Marathon, was out of the question. I still expected to be ready to take on 13.1 miles, but as race day approached I still wasn’t sure what my plan was for running it. 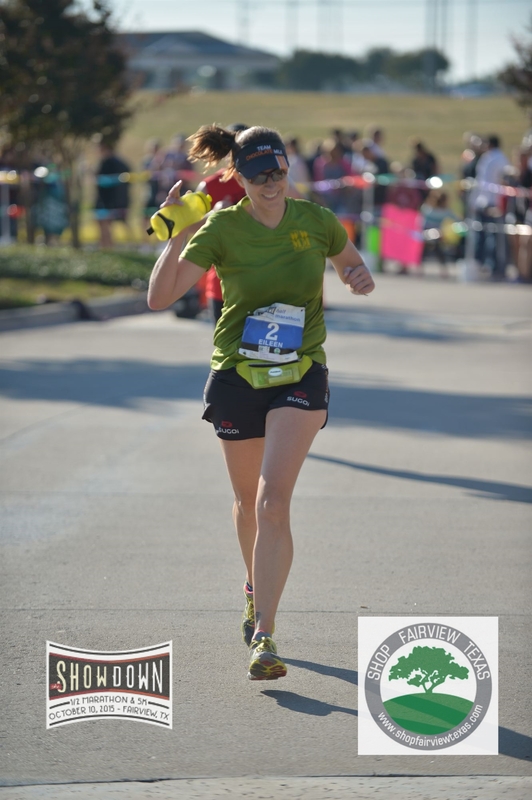 In Texas, when you register for a race in the winter, you can expect to either be wearing long sleeves or a tank. Earlier in the week, it looked like it was going to be cold, but race morning ended up being rainy and just under 60 degrees at the start. I stuck to my usual plan: stay around a specific pace for 5 miles at a time, then bump up the speed. The first five averaged 9:05 pace, but I felt fine. I enjoyed the view of the lake. Through mile 8 I continued running close to 9:00 miles. Then there was a steady gradual incline between miles 8-9. It didn’t look like much, but it sure knocked my pace off and I could feel it in the effort. I am always amazed at how quickly I can lose speed running up a hill. Around mile 10.5 I felt a strange cramping in my lower abdomen. I’ve never had that happen before, so I slowed to walk until it subsided. It could’ve been due to my diet changes the past two weeks or something I ate the night before. At that point, I no longer cared running under two hours, so I just ran/walked my way through the finish. I was glad to be done and was ready for some chocolate milk. I found my friend and then we gathered our post race snacks. It was on the way back to the car that I realized my mistake in parking at Flagpole Hill. That uphill was a bit rough on the legs, but it was finally cooling off because the cold front had blown in. Just in time, right? Thankfully my friend’s husband was at the top of the hill with coffee for her and chocolate milk for me. Awesome! 1. I haven’t been sleeping well due to some stresses with one of my children. This text from my friend sums it up: You do need a break. When you consider 13 miles in the cold rain a break – you’ve had a tough week. 2. The same child that came down with the flu the day of the Dallas Marathon got sick again that Wednesday and didn’t start feeling better until Saturday. It was probably the flu again. 3. I overhauled my eating habits the last two weeks and I lost 2.5 pounds, but I questioned how to fuel the day before a race. More on that in my next post. This change may have caused the cramping, or it was due to the renewed strength training. 4. It was warm and humid – based on the amount of salt residue on my skin. 5. My brain quit before my legs. I need to work on my PMA and stinkin’ thinkin’. I also need to find my Zig Ziglar books. Self doubt is getting me down lately. 6. I ran a marathon 2 weeks ago. I need to cut myself a break. I sure hope this post doesn’t come across as whiny. I wanted to make sure that I was still enjoying myself out there. I tried to encourage other runners – benefit of an out and back course – and thank the volunteers as well. 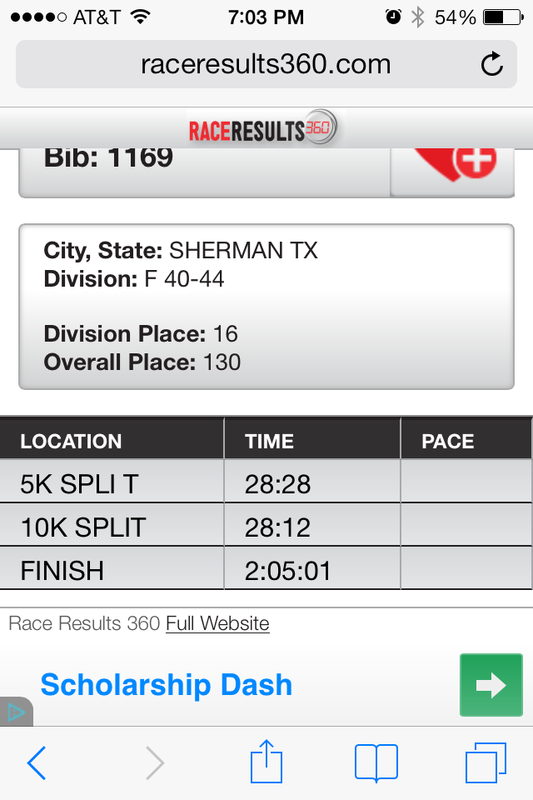 It was a well run race and I’m looking forward to getting the medal in July at the Too Hot to Handle 15k. 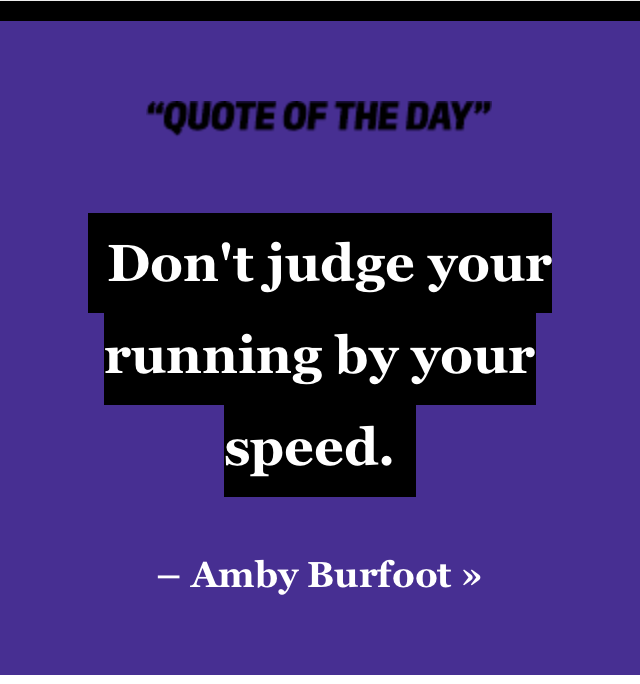 I saw this quote last week, and it resonated with me and my feelings about the last couple of races. I’m going to focus on what I can change and try not to worry about what I can’t.